How Will Chlorine Affect My Hair? Chlorine, at least as far as your hair is concerned, is a chemical disinfectant added to the water in many swimming pools. If pool owners didn't use chlorine, you likely wouldn't want to swim in the slime-infested water, to begin with. Short, occasional exposure to chlorinated water really won't damage your hair. It may make it feel dry for a day or so, however. 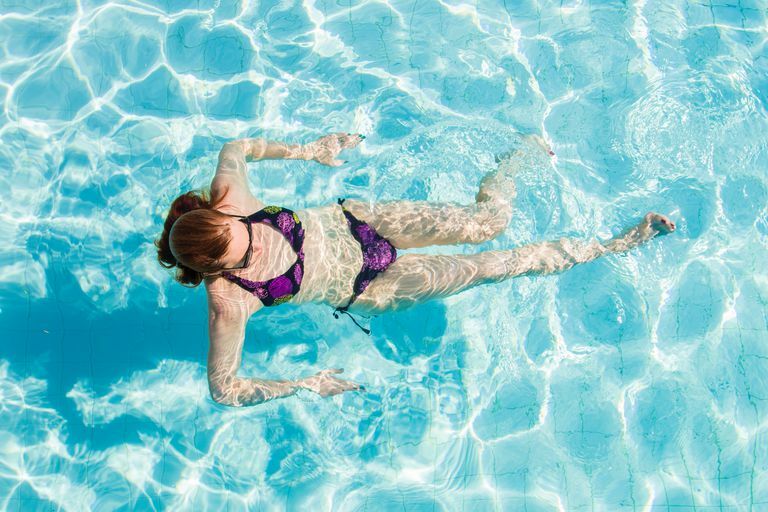 Regular exposure to chlorinated swimming pools can cause significant damage to your hair. Disinfectants, in general, are used to break down and remove dirt, oil, and bacteria. Our scalps naturally produce oil to protect hair from damage and daily wear. Stripping the oil from your hair in a pool on a regular basis can cause over drying, increased porosity, and in some cases pretty significant damage if you don't take steps to prevent and treat your hair for chlorine exposure. Can Chlorine Turn My Hair Green? While it's true that chlorine gas is a greenish yellow color, chlorine does not turn your hair green, Anne Marie Helmenstine, Ph.D., explains in this article that it's actually oxidized metals (copper) in the water that bind to the protein in the hair shaft and deposit a green color. Now, before you go feeling bad for chlorine for getting a bad rap all these years, chlorine isn't completely innocent. As explained above, regular exposure to chlorine can cause dry, porous hair. 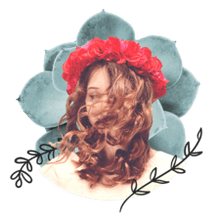 Dry, porous hair (especially hair that has been chemically lightened or highlighted and is more likely to be damaged by chlorine exposure) is more likely to absorb chemicals and discoloration. Who Is at Risk for Chlorine Damage? Everyone that regularly exposes their hair to chlorinated water risks damage, but some hair types will damage faster or more severely. Color Treated Hair: especially if your hair is chemically lightened or highlighted. You can do a few things immediately before and after you hit the pool to prevent chlorine from damaging your beautiful locks. Saturate Your Hair with Water. Before you enter the pool, rinse your hair with clean tap water to saturate your hair. Have you ever noticed that a sponge will only absorb so much water, and once it's full the water just runs off? Your hair is similar to a sponge. If you saturate your hair with clean tap water, your hair will be less likely to absorb as much of the chlorinated water in the pool. Use a Swim Cap. If you're doing a lot of swimming or are concerned about damage, a swim cap can make a world of difference. Try out a silicone swim cap as it is lightweight, breathable, and won’t snag your hair. Speedo makes a great one that comes in a variety of colors. Buy on Amazon.com. Rinse, rinse, rinse. After you exit the pool, a good clean rinse in the shower will start the process of removing the chlorine from your hair. In fact, it's a good idea to rinse your hair often with clean water while swimming to keep flushing the chlorine and chemicals out. Shampoo. Shampooing your hair immediately after chlorine exposure is the best way to remove the bulk of the chlorine and stop the damage it may be causing to your hair. Some shampoos are specially made to help remove chlorine and are a great idea for regular swimmers. UltraSwim Chlorine Removal Shampoo is a great option for everyday use. Buy on Amazon.com. For kids, the Fairy Tales Lifeguard Clarifying Shampoo is recommended as it is gentle enough to use daily. It’s also a great option for adults with color treated hair. Buy on Amazon.com. Moisture/Protein Balance. Just as important as removing the chlorine, you have to replace the moisture and protein that the chlorine strips from your hair as soon as possible. It's important to condition your hair well after shampooing, and I highly recommend a leave-in protein conditioner to soothe dry, frazzled hair and prevent split ends. Chi Keratin Mist is one of my favorite leave-in protein conditioners because it strengthens damaged hair and leaves it looking healthy and shiny. Buy on Amazon.com. Talk to your hairstylist. If you already have severe chlorine damage, go to a pro. Have her assess your hair's damage and recommend products or treatments to help and, at the very least, get a haircut to remove the ends that are likely suffering from the most damage. Once your hair is over damaged, repair is out of the question and a haircut is your only hope for soft, shiny hair again. Clarify your hair. If chlorine has damaged your hair, it's likely that it's also building up in your hair and causing it to feel worse than it is. Try a clarifying shampoo, or try super-clarifying your hair with this quick at-home baking soda trick. An apple cider vinegar rinse is also a great option for removing the chlorine buildup. Check your scalp. Chlorine is not only drying to your hair shaft but can also cause drying to your scalp. If your scalp is severely dry and your hair is damaged, I highly recommend giving Nioxin products a try to repair damage, replenish moisture, and to return your scalp to its healthiest condition (even if your hair isn't thinning). Use a regular protein treatment. Replenishing the protein in your hair that's been stripped by the chlorine will help repair and rebuild your hair's strength. Deep condition your hair. While a regular daily conditioner is a must, if your hair is damaged by chlorine you'll need a weekly or bi-weekly deep conditioning treatment to seal in moisture and smooth the frizzy split ends. Coconut oil is another godsend for repairing damaged hair caused by chlorine. Be very patient. While you're working to repair your damaged hair, be patient. It takes time for your damaged hair to bounce back to life. In the meantime, try these tricks for healthier looking hair, right now.